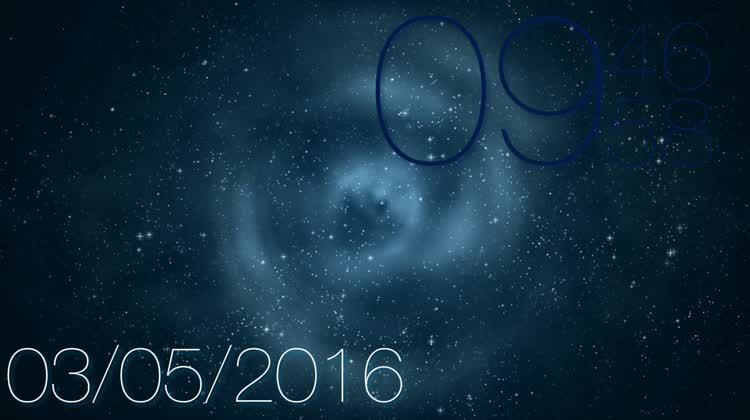 Video-Clock provides the time and date superimposed on a gorgeous background video. There are several videos to choose from, allowing you to tailor your clock to your particular tastes. The app remembers what video you've chosen, so it will go back to that selection when you launch it again. Pick a clock, any clock. 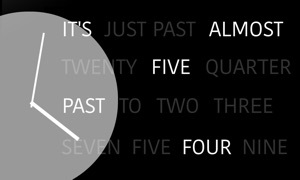 Video-Clock offers seven scenes with the current time and date displayed prominently. The moving backgrounds range from stars and space to stars and snowflakes. The images are attractive, creating a nice display on your Apple TV. After all, what better way to use your television screen than turning it into a giant clock for the living room or office? Video-Clock offers a good selection of beautiful videos to set against the current time and date, along with a number of formats for displaying the information. You can change videos by swiping right or left, and the app will remember the last video you chose. If you put Video-Clock in your Top Shelf, it will act as a widget, continually displaying the time on your Apple TV's Home Screen. 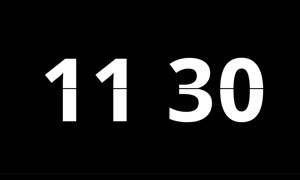 Video-Clock works well, providing a number of different formats for displaying the time and date so you can customize the readout to your liking. The video backgrounds are beautiful, adding an element of style to something that could be otherwise quite drab and boring. The ability for the app's icon to act as a time widget in the Top Shelf is very handy for those times when you want to check the time without launching the app. !!! On-Sale !!! 0.99$ for one week only, get it while its down. 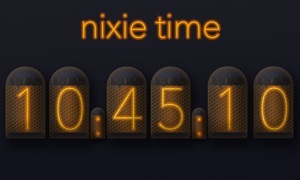 videos, which display a clock it also act as a top shelf "widget". in order to change from 24H clock to 12H clock (AM/PM) click the remote once. 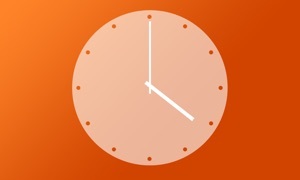 once a clock is selected then it is remembered and stay as current until next swipe (even if the app shutsdown). 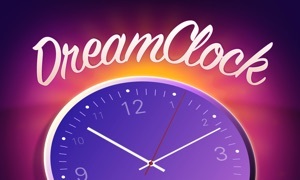 if the app icon is placed on the TopShelf, then the top shelf will install the clock widget which will have a background image and will display and update the time and date right there from the home screen. you can change the widget background image by clicking the widget itself.